Erico H-708 Series Rod/wire to flange clip features spring steel construction and caddy armour finish for longer endurance. It has trade size of 1/4-Inch for rod. It accepts cable of size 8-AWG. It has working load limit of 200 lb for static. 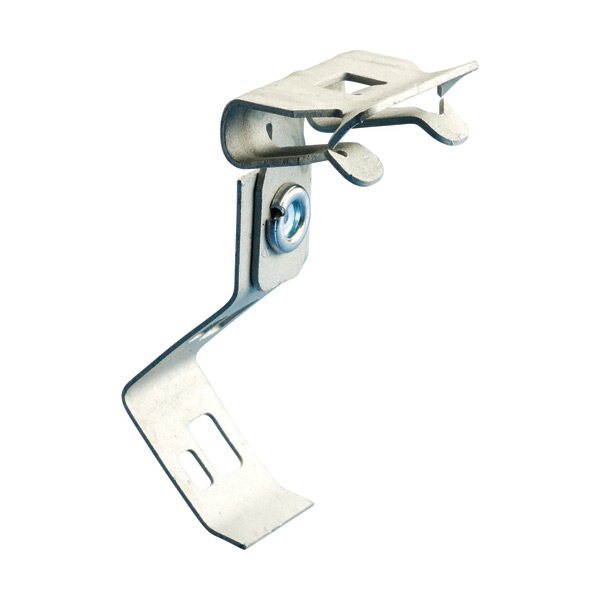 Clip supports a flange with thickness ranging from 5/16 - 1/2-Inch. It is simple to install with the help of a hammer. It allows you suspend #8 wire, 1/4-Inch or 3/8-Inch plain rod or 1/4-Inch or 3/8-Inch threaded rod from beam flanges of thickness ranging from 1/8 to 3/4-Inch. Clip is cULus certified.